OMG how exciting!! I can’t help but think they should reconsider ‘Anaemia’ though haha! Hahaha! That is beyond awesome! These look like great colours and so exciting that a company has taken on board some real feedback. Well done…I will have to go look at these colours as I really do like them. That’s great news ! Well done! Nice to see your creativity being acknowledged and recognised. You’ll have your own beauty empire in no time, you mark my words…. Fabulous!!! 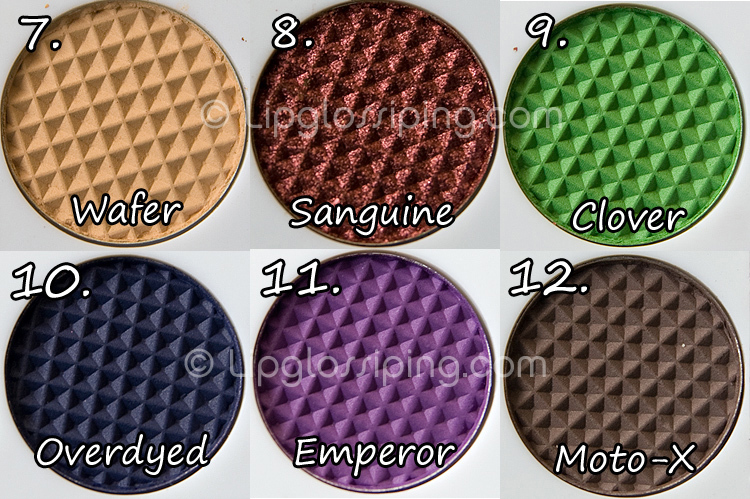 I had already written the names down and stuck them on the inside of the palette lid so I knew which colours you used when I followed your EOTD. WELL DONE YOU! You’ll be selling your autograph next! I always wondered who named things like eyeshadows, paint colours and the like…. IT’S YOU! Wheeeeee! Well done you. Fabulous news. Very proud! OMG! you crazy mummy. congrats!! im super excited for you too! Congrats, that’s fantastic! Go you! Bet you can’t stop grinning – well done! Am probably nearly as excited as you…..
That is more than exciting! Congrats! living- something to fall back in, now that you have something to pit on your resume! Congrats, that’s soo cool! That’s awesome! Being a make up namer would be my all-time ultimate job, I think! Love your choices of names, I’m wearing wafer today, he he. Wow, ho cool is that? Well done! Next thing we know, you’ll be naming eyeshadows for Urban Decay and Mac! Congratulations! Looking forward to the other big piece of news! Fantastic! Love the names and congratulations. That is wonderfully exciting. Definitely tell us about everything you name in future posts. That’s a dream come true for a makeup lover! WOW! congratulations..this is so great that they would like to use the names you chose (I think they’re great…creative too!). You really deserve this feeling you’re having–obviously your insight and creativity aren’t going unnoticed! ooh la la, goodness me! How lovely are you lot? Where on else on earth would I be able to share this news and not get funny looks when I subsequently do the hula on the spot in excitement? How incredibly exciting!!!!! I am so jealous! 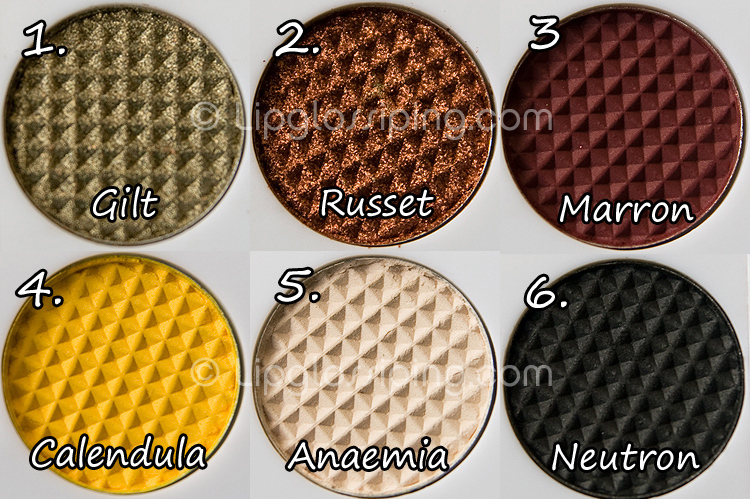 Wafer, Clover and Overdyed were my favorites. I thought Anaemia was too funny! That is very very exciting! Oh my God, how cool is that!!! Check you out!